Acute mesenteric ischemia (AMI) remains a lethal disease. The most common etiology is in situ thrombosis from progressive arterial occlusive disease, followed by embolism, nonocclusive mesenteric ischemia, mesenteric venous thrombosis, and thoracoabdominal aortic dissection. 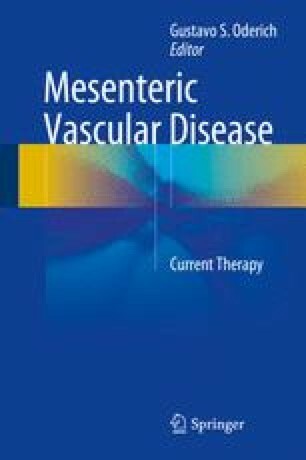 Over the past decade, similar to percutaneous angioplasty and stenting for chronic mesenteric ischemia, endovascular therapies have been used more frequently, with improved mortality and morbidity rates.